In Cloud Elements' platform for API integration, developers can now define their own API resources, accessed by a consistent RESTful API with a JSON payload. Our API Hubs represent the intersection of resources across the Elements within a category of applications. 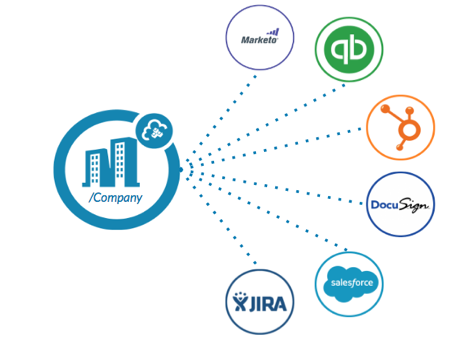 We created a platform for API Integration with the assumption that one-to-many means that integrating to many CRMs (or Finance apps, or Marketing Automation platforms) is faster than building one-by-one. However, something new we have learned is that our customers are using integrations beyond the category. We're excited to announce resource-center API calls for developers to define their own API resources. We now support API calls directly to resources, without requiring association to a Hub. Previously, if you wanted to call GET /Contacts to Salesforce, the entire API would have to look like: GET /hubs/crm/contacts. The requirement to know the Hub for all the Elements you were using caused problems for some use cases. Resources are now accessible regardless of the Hub each Element resides. One-to-many integrations are simpler since you no longer need to know the Hub location for an Element. Lays the groundwork for Composite Resources and Composite Hubs, such as what Inspirato did to orchestrate data in their app. Every resource is accessed using a consistent RESTful API with a JSON payload, regardless of the API protocol used at the endpoint. Cloud Elements’ pre-built connectors do the work of mapping the unified API call to each provider’s API endpoint, as well as transforming SOAP, XML and other API protocols to REST/JSON. When Cloud Elements creates an Element, the resources defined for that Element are normalized to the intersection of resources that are available across the applications in that category. For example, a user can create a common object for use across Hubs, which could be a Company Object. The individual application endpoints may use different naming conventions for this resource, such as Account in Salesforce, Company in HubSpot, and Organization in Quickbooks. Cloud Elements resource normalization transforms all varieties of the Company Object to one uniform model. Using resource-centric API calls, the common objects will still be normalized even though they do not need to be associated with the Hub within the call. For more information on our Hubs and Elements, check out our API Documentation. Should You Be Required to Get Approval Before Accessing API Resources?